Here is a roundup of my favorite books on Digital Transformation. If you know me, you know I read a lot. For me, it’s a quick way to “stand on the shoulders of giants” and to learn the patterns of what works. I’ve found that the right books can help me leap frog ahead. I’ve also found that reading a variety of books on a topic helps me get a better balcony view. It’s from this balcony view that I can create clarity from chaos, and see the forest for the trees. Reading multiple books on a topic also helps big ideas sink in better. I might not quite get an idea in one book, but then it suddenly clicks in with another book, because the author presented it in a different way. I find reading multiple books actually compounds my learning and pays off in ways I can’t predict, often creating serendipity. My collection of Digital Transformation books spans a few key areas that I think help when it comes to driving Digital Transformation. One key area is innovation. Innovation is the life blood of Digital Transformation. If you can’t reimagine your business or explore the art of the possible, you won’t be very effective in your transition to the Digital Era. Success transformation requires a reboot and a rethink of new ways to create and capture value at the edge. Another key area is business model innovation. This is far more important than most people understand until they realize that it’s the business model that determines which ideas and which innovations survive in the market. So many great ideas die on the vine because they lack an effective business model. The more you learn about value engineering and how to translate ideas into real market opportunity, the better equipped you are to create new revenue streams in the Digital Economy. Another key area is culture change. Culture is the environment you create for Digital Transformation to survive and thrive. Culture is what can also kill Digital Transformation. Creating a learning culture that obsesses over customers and embraces the Millennial way and empowers employees with new ways of working takes intentional effort and deliberate behavior change. Another key areas is Digital Business Design. Thinking through your customers, your channels, your value prop, your value stream, and your differentiation is art, science, and strategy in action. Arming yourself with a mental toolbox of methods, models, and tools can help you gain a real advantage here. Lastly, and perhaps my favorite topic, is trends and insights. I don’t look for trends, as in trendy ideas that are more like fads. I look for fundamental shifts in power or shifts in value or shifts in market demand or shifts in capabilities. I build catalogs of trends and insights that help me innovate faster, put building blocks together, and use creative synthesis to reimagine and envision future state possibilities. What if you knew the key trends shaping the world around you, influencing everything from where to live to what career to pursuit to how to create and capture value? 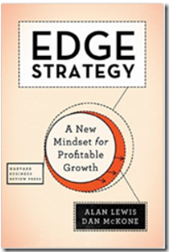 If you read the right books on trends, you end up with the closest thing to a crystal ball. But rather than bet on one future, you can play the art of the long view and play out multiple paths of possibility. And that’s how the paranoid survive. Some of you will want the full list of books. Others will want the short-list. All of you need to know which books to start with to get the most bang for the buck. If you can read two books, then also read No Ordinary Disruption. This will give you a comprehensive view of the key trends that are shaping the next 10 years around the world and will help you better anticipate the changes around you. 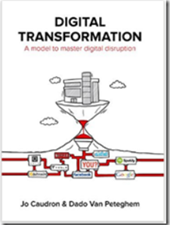 If you can read three books, then read Digital Transformation: A Model to Master Disruption. This is really an “ideas” book, but it’s both surprisingly simple and surprisingly insightful. You’ll need to separate the wheat from the chaff, but there are many ripe seeds that will inspire and kickstart your own thinking around how to best approach Digital Transformation. 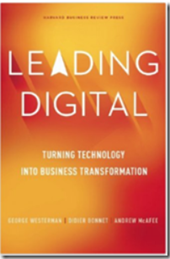 Leading Digital: Turning Technology into Business Transformation, by George Westerman, Didier Bonnet, and Andrew McAfeeLeading Digital is effectively a guide for driving Digital Transformation in the Enterprise. While there is a lot of advice perfect for startups, Leading Digital is really a guide to existing large businesses that need to reinvent themselves for the Digital Era. Leading Digital covers everything from successful Digital Transformation stories to dual-speed IT to customer experience transformation. 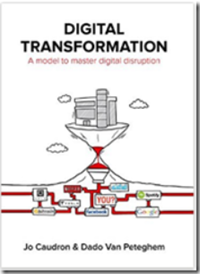 This book really provides a mental model and simple approach to driving Digital Transformation. 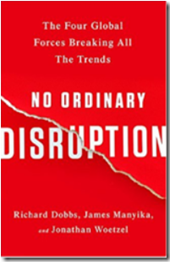 No Ordinary Disruption, by Richard Dobbs, James Manyika, and Jonathan WoetzelDirectors of the McKinsey Global Institute do a deep dive to figure out the key trends and forces shaping the next 10 years. 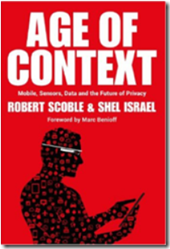 The authors show how the trends are taking shape through anecdotes, data, and graphics. The Disruption phase: experiencing and acknowledging the severe impact of new players and/or technological evolutions on the core business activities. The Modeling phase: mapping out the impact of the disruption and trying to transform possible digital threats into digital opportunities, scenarios, and business cases for the future. The Transformation phase: implementing the digital transformation mode throughout the entire business processes, culture and systems. This is my more comprehensive list of Digital Transformation books that really helped me get an edge in terms of figuring out how to drive Digital Transformation. It’s a wide variety, but like I said, it’s how the books come together in a symphony of ideas, or more like a mosaic of patterns, that helped me gain new insight well beyond what I could gain by just one or two books. It’s this collective perspective and cornucopia of ideas that better equip me for driving forward in the Digital Frontier. The authors use stories and examples to help us easily understand how brands can use the technologies to change the world. 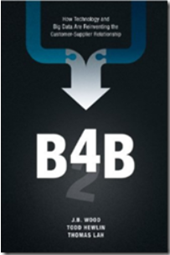 B4B, by J.B. Wood, Todd Hewlin, and Thomas LahB4B is a framework for transitioning from product-focused to customer outcome-focused. It helps you prepare for a world of “pay for play” where customers pay when they use the product. 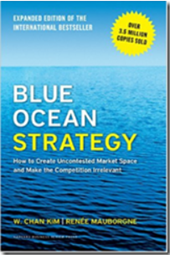 Blue Ocean Strategy, by W. Chan Kim and Renée A. MauborgneBlue Ocean Strategy provides a way to create disruptive innovation and create uncontested market space. Rather than compete in a bloody “red” ocean and compete on features, the idea is to create a new market and enjoy a “blue” ocean. A simple example is rather than try to compete in the circus industry with better animals and a better ringmaster, change the game. Cirque de Soleil created a new kind of circus by focusing on adults and using acrobats instead of animals to create exotic shows. 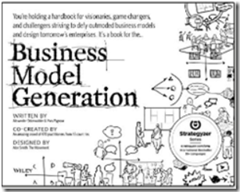 Business Model Generation, by by Alexander Osterwalder and Yves PigneurBusiness Model Generation is a guide for creating new business models and designing tomorrow’s enterprises. It provides a canvas, patterns, design, strategy, and process. The Business Model Navigator, by Oliver Gassmann, Karolin Frankenberger, and Michaela CsikThe Business Model Navigator is a great walkthrough of what exactly business model innovation is, along with 55 patterns that represent 90% of business model innovation to date. Consumption Economics, by J. B. 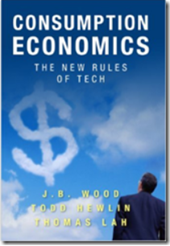 Wood, Todd Hewlin, and Thomas LahConsumption Economics explains the challenge where more value will be created than can be absorbed by users and consumers. Additionally, the true disruption will be to your business model. Future customers won’t want to pay you high prices out of big “CapEx” budgets anymore. They will expect lower “cloud” prices paid from “OpEx” budgets only when and if they successfully consume the business value of your products. Digital Disruption, by James McQuiveyThis is a guide to learn how to be a digital disruptor. James McQuivey shares his approach to disruptive innovation. He’s gone into the biggest companies, even in traditional industries like insurance and consumer packaged goods and changed the way they think about innovation. First, adopt the right mindset; Take risks, invest as cheaply as possible, and build on existing platforms to find the fastest path to solving a customer’s problem. Second, seek the “adjacent possible”—the space just next to yours where new technology creates opportunity. Finally, disrupt yourself. Use these tools to make parts of your business obsolete before your competitors do. The authors draw from interviews with 30 top C-level executives including GE, Ford, McDonald’s, and more. 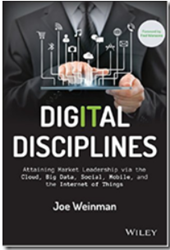 The authors also include Gartner’s annual CIO and CEO global survey research. Digital Transformation, by Mark BakerMark Baker shares how different consulting companies and business leaders are thinking about Digital Business Transformation. 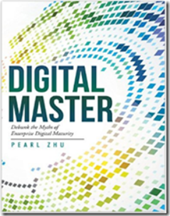 He his insights to life through interviews with corporate digital leaders and real-life examples. 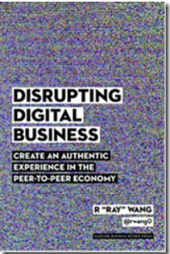 Disrupting Digital Business, by R “Ray” WangDisrupting Digital Business walks through how organizations no longer control the conversation. In this era of social and mobile technology, customers, employees, suppliers, and partners are in direct communication with one another. 15. How Digital is Your Business? 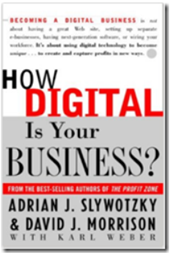 How Digital is Your Business?, by Adrian J. Slywotzky, David Morrison, and Karl WeberSlywotzky and Morrison show how a digital business is one whose strategic options have been transformed–and significantly broadened–by the use of digital technologies. 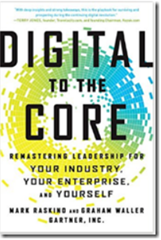 The core of How Digital is Your Business: Profiles of the future: the in-depth story of the digital pioneers–Dell Computer, Charles Schwab, Cisco Systems, Cemex. Insight into how to change a traditional enterprise into a digital business: the stories of GE and IBM. An analysis of the profitable dot-coms: AOL, Yahoo!, and eBay. Through stories and case studies, How Digital is Your Business? also provides digital tools you can use to create a digital future for your company. 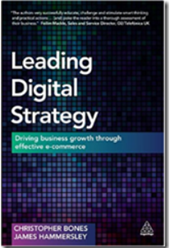 Leading Digital Strategy, by Christopher Bones and James HammersleyLeading Digital Strategy shares strategies, methodologies and models to improve the effectiveness of your online offering. Leading Digital Strategy also shows you how to implement a customer-centric culture, and provides a practical framework for multi-channel success. 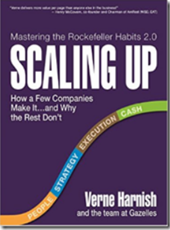 Scaling Up, by Verne HarnishScaling Up shows you how to scale up a venture and build an industry-dominating business. The goal of Scaling Up is to help you create a company where the team is engaged; the customers are doing your marketing; and everyone is making money. To do so, Scaling Up focuses on the four major decision areas every company must get right: People, Strategy, Execution, and Cash. 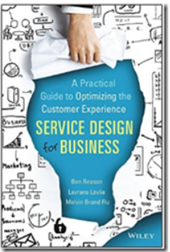 Service Design for Business, by Ben Reason, Lavrans Løvlie, and Melvin Brand FluService Design for Business shows you how to transform your cusotmer experience and design services that respond to customers’ needs and demands. Ten Types of Innovation, by Larry Keeley, Helen Walters, Ryan Pikkel, and Brian QuinnTen Types of Innovation provides insights to diagnose patterns of innovation within industries, to identify innovation opportunities, and to evaluate how firms are performing against competitors. 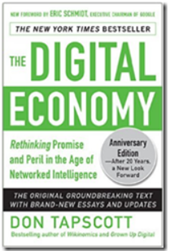 The Digital Economy, by Don TapscottIn the Digital Economy, Don Tapscott provides new forecasts of where the digital world is headed. 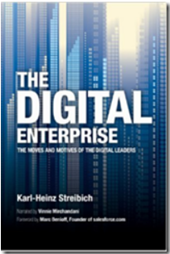 The Digital Enterprise, by Karl-Heinz StreibichKarl-Heinz Streibich provides a guide to Industry 4.0 and lights it up with 20+ examples of Industry 4.0 in action. Learn how Industry 4.0 will bring massive efficiencies to aviation, utilities, and many other industries. 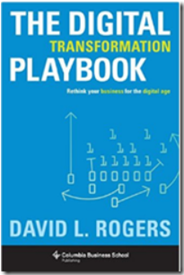 The Digital Transformation Playbook, by David L. RogersThe Digital Transformation Playbook helps business leaders create and pursue a digital plan. In The Digital Transformation Playbook, Rogers provides 5 key rules to help businesses create new value and outperform their competitors in the digital age. 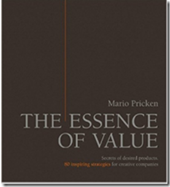 The Essence of Value: Secrets of Desired Products- 80 Inspiring Strategies for Creative Companies, by Mario PrickenThe Essence of Value reveals the fundamental parameters that create value and make products “shine”, based on examples from the worlds of business, the arts and religion. Mario Pricken has analyzed more than 300 products, objects and events over their entire lifecycles in order to reveal the patterns that make things extraordinarily valuable. He’s identified 80 parameters that can be found, for example, in the biographies of exceptional cars, watches, luxury foods, designer furniture, artwork and services – such as the elements of uniqueness, scarcity, the effect of time or magnificently orchestrated transfers of ownership. You can use the tools to quickly determine the “value-DNA” of a product. 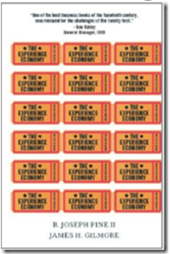 The Experience Economy, by B. Joseph Pine II and James H. GilmorePine and Gilmore make the case that experience is the missing link between a company and its potential audience. The Experience Economy offers rich examples—including the U.S. Army, Heineken Experience, Autostadt, Vinopolis, American Girl Place, and others—to show fresh approaches to scripting and staging compelling experiences. 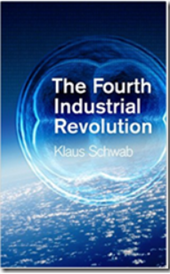 The Fourth Industrial Revolution, by Klaus SchwabKlaus Schwab dubs this era of profound change as the fourth industrial revolution. Schwab has been at the center of global affairs for over four decades and is convinced that the period of change we are living through is more significant, and the ramifications of the latest technological revolution are more profound than any prior period in history. 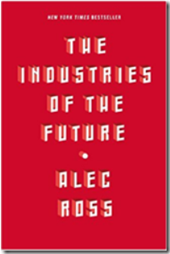 The Industries of the Future, by Alec RossAlec Ross explains what’s next for the world: the advances and stumbling blocks that will emerge in the next ten years, and how we can navigate them. Ross shows us what changes are coming in the next ten years, highlighting the best opportunities for progress and explaining why countries thrive or sputter. He examines the specific fields that will most shape our economic future, including robotics, cybersecurity, the commercialization of genomics, the next step for big data, and the coming impact of digital technology on money and markets. Where Will I Make a Profit Tomorrow? 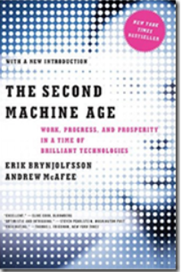 The Second Machine Age, by Erik Brynjolfsson and Andrew McAfeeErik Brynjolfsson and Andrew McAfee identify the best strategies for survival and offer a new path to prosperity amid exponential technological change. These include revamping education so that it prepares people for the next economy instead of the last one, designing new collaborations that pair brute processing power with human ingenuity, and embracing policies that make sense in a radically transformed landscape. 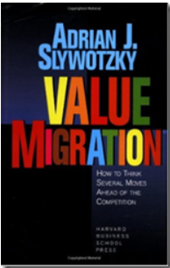 Value Migration, by Adrian J. SlywotzkySlywotzky walks through how several companies created a business design – how they select customers, differentiate their offerings, configure their resources, go to market, and capture value – based on a strategic understanding of their customers’ highest priorities. 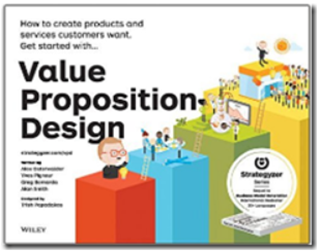 Value Proposition Design, by Alexander Osterwalder, Yves Pigneur, Gregory Bernarda, and Alan SmithValue Proposition Design gives you the processes and tools you need to create compelling products and services customers want to buy. 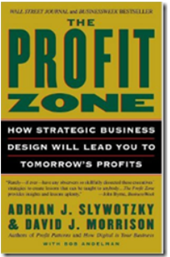 Zone to Win, by Geoffrey A. MooreZone to Win is a playbook to address the challenge large enterprises face when they seek to add a new line of business to their established portfolio. 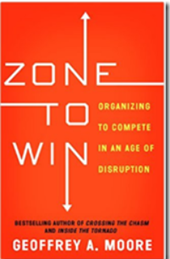 Zone to Win is a high-powered tool for driving your company above and beyond its limitations, its definitions of success, and ultimately, its competitors, by focusing on spurring next-generation growth, guiding mergers and acquisitions, and embracing disruption and innovation. 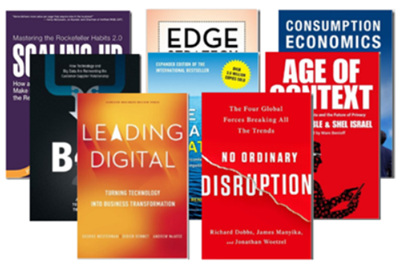 I hope my list of Digital Transformation books helps you, or someone you know, get an edge. Digital Transformation is risky business and a lot of companies fail to cross the Cloud chasm. Sadly, what they don’t know, can hurt them. Don’t let a lack of know how set you back during what can possibly be called the greatest opportunity in our lifetimes to build a better world and empower every person and every organization on the planet, the digital way. 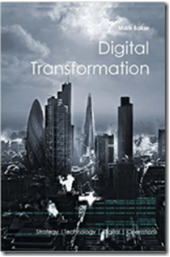 What great Digital Transformation books did I miss?